Today's consumers expect better service, better products, and better communication with retailers. Without a single view of the customer across all channels - including social media - retailers risk alienating customers and driving them to other brands. To meet these challenges, many retailers are deploying software-as-a-service (SaaS) contact center systems that address these problems and create new opportunities. 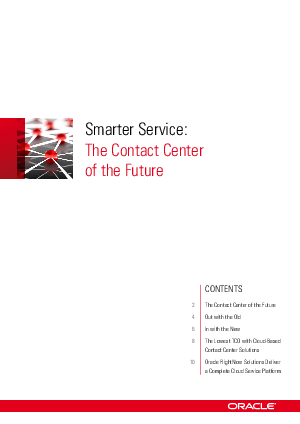 This eBook follows one shopper's journey and how the concept of the contact center of the future provides the better overall experience.